A great and mighty tempest brews as the kings and lords of the world’s nations have plotted and conspired behind closed doors, making secret pacts and covenants that come directly from the pit of hell. Hell has enlarged her mouth to receive the untold numbers whose fate is sealed because of their obedience to utter evil, the king of darkness. Most nations of the earth have been sold out by their leaders and betrayed at the highest levels. The portals to hell all over the earth are opening, as many are working fervently to call upon the enemy’s army to gather in great multitudes and prepare for war. Cern leads the charge in initiating and continuing the urgent attempts to reach darker dimensions, dimensions that were never intended to be opened by man. All of the knowledge used to gain access to these realms was given to mankind by the fallen ones, those condemned already, but who shared secrets with man after they rebelled, that I did not wish for man to have. I never speak words to you to cause fear, but always to prick your hearts and convict you of how a lifetime of willful sin and unrepentence will ultimately lead to spiritual death. I can’t be any more clear about eternity. Just as you could not fathom that I do not have a beginning, you cannot fathom what eternity means in total darkness, away from your Creator, the only One who truly knows you and loves you unconditionally. The hourglass empties rapidly and you may not have this life by tomorrow. Come now to Me… quickly My people. I have always had trouble accepting we are going to see giants for some reason even knowing it is true . I was taught these things are fairy tales , lore & legends , yet I know they are real from the word & evidence . I find it hard to break my preconceptions on this , will they come in space ships or come up out of the ground like in a Jason and the Argonaughts movie . I wonder how I will react , should be interesting anyway . I wonder how many are prepared for this , not sure I am and I am not that good with a sling . Thanks Julie & Blessings . Not to worry, John Barry. Should your eyes see these creatures, the Spirit of the Living God will rise up within you and you will know exactly what to do or not to do! I believe that Steve Quayle’s research indicates that the giants are being held in “stasis” mode underneath Antarctica until they are reanimated and “come upon the earth.” They are, indeed, cannibals. Unimaginable horror awaits the wicked left on earth…. John Barry, check out SteveQuayle.com for all of your questions above. He’s done years of research and writing on them. Also, L.A. Marzulli.net or search YouTube for ‘the giant of Kandahar’. – Special Operations team searching for a missing Recon unit, takes out a 900 lb. Giant. God Bless! Some might come down in ships to push what I believe will be the Great Deception, false ‘Alien’ contact and the ‘revelation’ that they are our ‘Space Brothers’, our ancestors or possibly humanity’s ‘creator race’. Lots of high ups in gov and business are into the ‘Ancient Astronaut’ theories where all the clearly supernatural stuff in not only Juedo-Christian but all cultures are actually alien technology misidentified by primitive humans. Our old buddy Vladimir Putin even gave a speech not too long ago warning of genetically modified creatures ‘more dangerous than nuclear weapons’. It’s funny I actually used to read your blog a while back. I got a new computer and must have forgotten the web address. Just one additional point to bring up about my Scripture verse listed here, describing the giants. Notice, it says several things: It tells WHO they are (giants). It tells WHY they’re coming (to fulfill God’s wrath during, the endtime: “the day of the Lord”). And equally important, it tells us WHERE THEY ORIGINATED FROM – and this is exceedingly profound, interesting, and not immediately obvious, unless you’re familiar with the other Scriptures on this subject – (they originated “from the utmost foundations of heaven”!) Wow. This last point confirms WHERE the location was, from which these beings come! Does this not totally agree with – not only the non-canonical books, like Enoch, Jubilees, and Jasher – but also the Holy Scriptures themselves? “And the angels which kept not their first estate but left their own habitation…” Jude 6. They left their place in heaven. AND line this up with both 2 Pet. 2: 4-6 along with Genesis 6 describing their time around the days of Noah.These are key Scriptural verses on this subject, among many others. During the month of August, my son, Reid, age 16 had a dream that he was at a very large gathering of thousands of people that were there in an open setting with a large stage that President Trump was to appear and soon to speak. Reid was up front, looking out from the stage upon thousands of people and he saw L.A. Marzulli there, not too far away from Reid. He seemed to be walking back and forth. After that, Reid was able to pose for a photo with President Trump. Suddenly, dozens of giants appeared and rushed the crowd. Chaos broke out and people were screaming and trying to escape. The giants were 30 feet tall. They began scooping up 5 to 6 people in each of their hands and began to quickly devour the people. Reid said it was horrifying, somehow, he, Marzulli and Trump all escaped. Later, Reid saw the aftermath on television and the sight was too terrible for words and there were great pools of blood. He said it appeared that all the people, men, women and children had been completely devoured. After this, he hurried to the home of his best friend and when Reid went inside their home and told them what had happened, they were completely unaware of what was going on in the news. 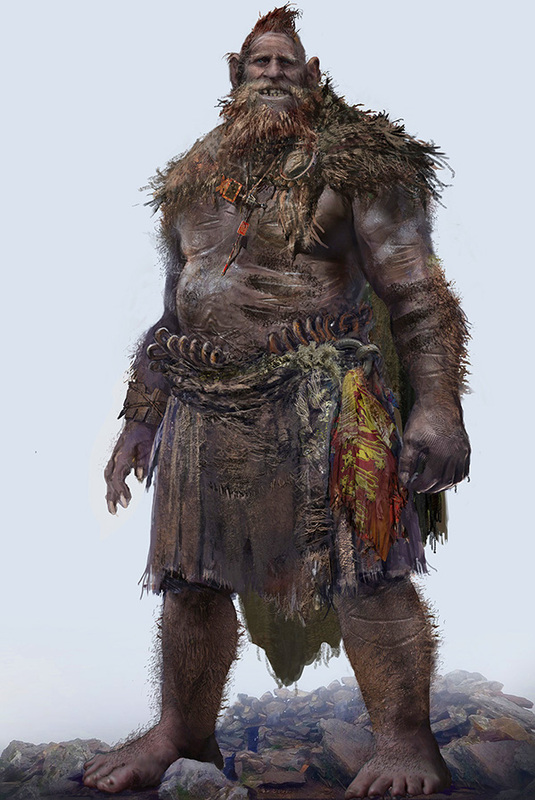 I had a dream not too long ago that I encountered a giant on the street that resembled an old but now lost friend. His eyes were vacant almost dead like and he was only about 9ft tall. Such a bizarre dream and it is almost unbelievable to imagine giants will ever walk the earth again, but at this point, being a christian for several decades….nothing would really surprise me. I know we are all going to have our assumptions and dogmas turned upside down spun around and pile drived before this whole thing ends. Please search for “The Giant of Kandahar” on youtube. LA Marzulli did a piece on this and there many other accounts from US Soldiers. Shalom and God bless! The best DVD I have seen on the subject of giants is Tom Horn’s Holocaust of the Giants. He along with Steve Quayle talk about what was covered up in the past and what is coming upon the earth. Thank you, Julie for this word. Here is a post on Z3, where my son dreamed of a giant. The power of Jesus protected him and made him mighty. This message says “diabolical beings and creatures are returning” … and … “they were not created in My image.” It also says “Satan is not a creator.” So then who created these beings and creatures? Like the title of this post says, they are the offspring of hybrid beings. They came about when the fallen angels mated with human women as described in Genesis 6:4. Fantastic. I love when the Lord confirms knowledge and revelation through others connected to His special network (Holy Spirit). I can’t wait till the time comes that those of us whom God is preparing to put these abominations down (like Joshua, Samson and David) finally emerge from the shadows, and with even MORE power and glory than they to boot (Hag. 2:9)! To our Father be all glory.